Labor Day Weekend in Steamboat Springs, Colorado is packed with entertainment for the whole family. 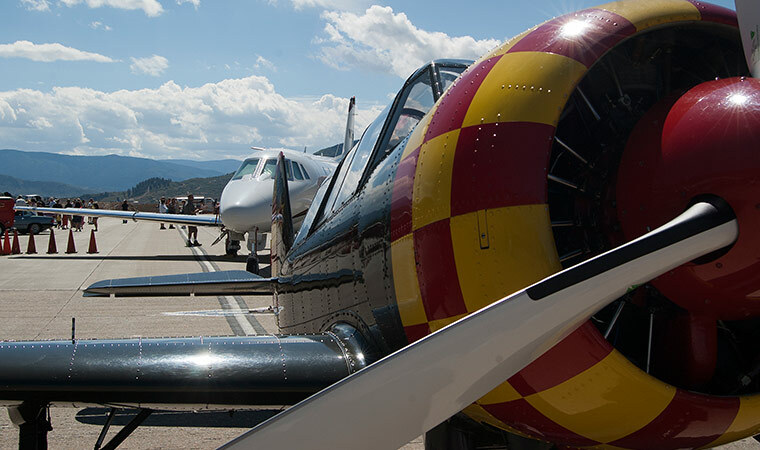 The Wild West Air Fest features nationally renowned performers providing edge of your seat excitement as they perform thrilling aerobatics and formation flying. Don't miss the nonstop, action-packed performances in the extended air show this year. You can be part of the Wild West Air Fest and fly in these amazing aircrafts. Plane rides are available on a first-come, first-served basis on Saturday and Sunday. Reservations and payments are made directly with the pilots. Some rides are able to be reserved online and others need to be made on site so arrive early. $10 for adults per day (or $15 for the weekend), $5 for youth ages 12-6 for the weekend, and FREE for 5 and under. Purchase tickets in advance and skip the line at the event! Wild West Air Fest begins at 9:00am on Saturday and continues through 3:00pm.